That’s according to a survey carried out for RTÉ’s Claire Byrne Live. ONE IN FIVE people in Ireland think convicted drink drivers should be given an exemption from their driving ban in order to drive to work. According to a survey carried out by Amarach Research for RTÉ’s Claire Byrne Live, 66% of people in Ireland said convicted drink drivers should not be given an exemption from their driving ban, while 21% said they should. 13% of respondents were unsure. The poll comes after The Sunday Business Post last week reported that junior transport minister Brendan Griffin has asked officials to study a system currently operating in New Zealand. In New Zealand, banned drivers can apply for an exemption if a driving ban causes them “extreme hardship”, such as a need to get to work. 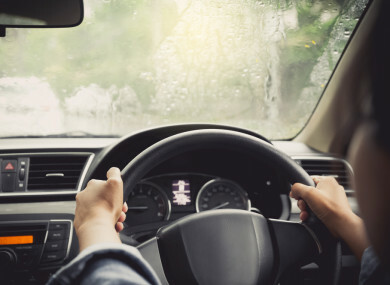 Applicants for a limited licence in New Zealand have to apply to a court and prove that not being able to drive causes extreme hardship to themselves or undue hardship to someone else, such as an employer or dependents. In a statement to Virgin Media’s Tonight Show on Monday, Minister Ross said “this idea is a non-runner”. “Absolutely no question of countenancing any idea of exempting anyone. This idea is a non-runner,” Ross said. “If the vinters want to suggest ways of stopping driving drinking alcohol, let’s hear them,” he said. The Bill will not be amended. No exceptions. We have introduced lifesaving legislation. We will not be diluting it. Speaking to the media on Monday, Taoiseach Leo Varadkar said that his initial sense is that he’d be “sceptical about it as a proposal that’s workable”. “If someone is banned from driving they’re banned for a reason. If you were to make an exception around travelling to and from work I’d wonder about the enforceability of that,” Varadkar said. How would you establish whether they were or not going to and from work? What if their job involved driving around the place, if they were a GP or a public health nurse or a taxi driver? The poll was carried out by Amarach Research on Monday with more than 1,000 adults in the Republic of Ireland. Email “One in five people in favour of giving banned drink drivers exemptions to drive to work”. Feedback on “One in five people in favour of giving banned drink drivers exemptions to drive to work”.